Dr. McGrath is the author of The OCD Answer Book and the workbook Don’t Try Harder, Try Different. He is also the Director of the Centre for Anxiety and Obsessive Compulsive Disorders at Alexian Brothers Behavioural Health Hospital. Currently, Dr. McGrath directs both a Partial Hospitalisation and an Intensive Outpatient Program for OCD and anxiety. He is the Co-Director of the School Anxiety/School Refusal Program and was recently awarded a grant from the Illinois Department of Veterans Affairs to begin a PTSD treatment program for returning veterans from Iraq. In addition to treating clients, Dr. McGrath trains students from graduate schools across the metropolitan Chicago area and provides training on anxiety disorders. Dr. McGrath’s postdoctoral fellowship was at the St. Louis Behavioural Medicine Institute. 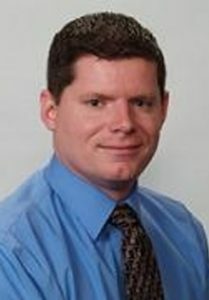 His experience includes leading the Cognitive-Behavioural Therapy (CBT) component at Michigan State University’s Counselling Centre and launching the Anxiety Services Program at Linden Oaks Hospital at Edward in Naperville, Illinois, treating individuals with intensive CBT and Exposure and Response Prevention treatment for all anxiety disorders. Dr. McGrath is a regular speaker at conferences for the Obsessive Compulsive Foundation (for which he is on the Scientific Advisory Board), the Anxiety Disorders Association of America and the Association for Behavioural and Cognitive Therapies. He has been featured on PBS television in Chicago for his work on PTSD, as well as in the Chicago Tribune, Daily Herald and on over 300 radio stations across the USA including WGN, The Sally Jesse Raphael Show and National Public Radio. He has also been featured on the documentary “Anxious” for the Discovery Health Channel, and three episodes of “Hoarding: Buried Alive” for the Learning Channel.